Special thanks to Projek Nasi Lemak for extending this food review invitation. 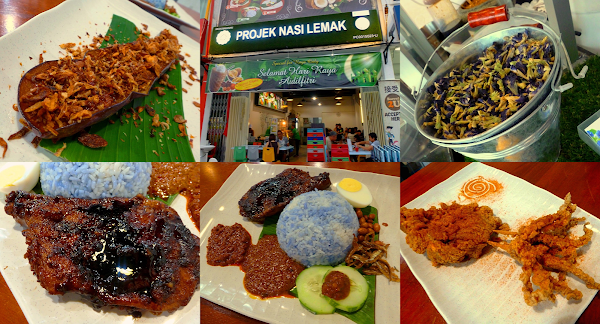 Projek Nasi Lemak took the food arena by storm since its opening several months ago. The restaurant is often filled to capacity during peak hours. I took me a while to visit this place and to find out what the hype is all about. This restaurant specializes in nasi lemak (coconut milk rice) with several types of side dishes. One of its main attraction is blue-colored rice, which is dyed with essence of butterfly-pea flower. The flower only provides coloring; it has hardly any fragrance nor taste. Rice is cooked using coconut milk, salt, water and nothing else. The restaurant does not use meat stock to cook rice because rich flavors tend to overwhelm the palate and divert attention away from side dishes. Projek Nasi Lemak uses fast food concept to streamline the ordering process. There are originally 5 set meals to choose from. 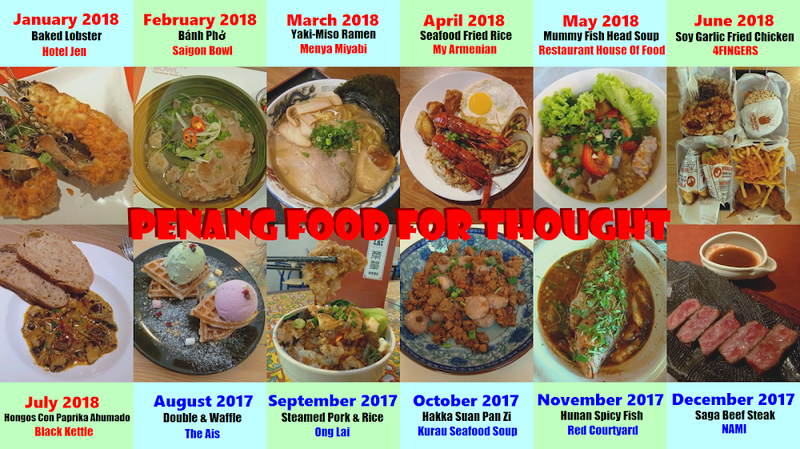 Optionally, customer can add side dishes from the à la carte menu, such as ayam goreng (fried chicken), ikan kari (curry fish), sotong goreng (fried squid) and udang (shrimp). Food is cooked in small batches at a time to ensure freshness. According to the restaurant operator, the food menu is based on his parents' traditional recipe. He has also incorporated new ideas from various places like Johor, Malacca, Kelantan and Hat Yai. The food is pork-free, which at least partially explains why it is popular among people from all walks of life. In addition to the 5 set meals, the restaurant has recently introduced Black Sweet Sauce Chicken (RM8.50) to cater customers who cannot take spicy food. The meal consists of colored rice, chicken fillet, hard-boiled egg, roasted peanuts, anchovies and cucumber. All items are served over a sheet of banana leaf. The chicken fillet is fried to lovely crispiness, then coated with sweet dark sauce. The boneless chicken is tender and succulent. Served on the side are 2 types of chili sauce: with shrimp (salty-spicy) and with onion (sweet-spicy). Both are tantalizing to my tongue. Meanwhile, sambal belacan (spicy shrimp paste) on the cucumber is too intense for me. Eggplant With Homemade Onion & Sambal (RM4.50) is another new item on the menu. Resting on a banana leaf is a surprisingly large eggplant - over 6 inches in length! The eggplant is cut into servings of 200 grams each. Each piece is deep-fried briefly to prevent it from absorbing too much oil. Once cooked, the eggplant is seasoned with sambal (chili paste) and fried onion. As the dish is served while piping hot, fried onion carries its aroma far and wide. The level of spiciness is not something to be trifled with! The jumbo size Sotong Goreng (RM10.00) is prepared from Argentine shortfin squid. As the supply of squid is uncertain, it is not always available. I have not tasted the squid yet, but it has certainly caught my attention. Perhaps I should try this dish next time. The Coconut Milk Shake Special (RM4.50) is blended from coconut water, coconut kernel and ice. An infusion of gula melaka (palm sugar) provides a unique sense of sweetness, resulting in brownish hue in the process. A scoop of durian-flavored ice cream is like icing on the cake. Although the milk shake is enjoyable overall, it is punctuated by residual bits of coconut husk. Directions: Traveling westward along Jalan Ayer Itam, Projek Nasi Lemak is located on the right. 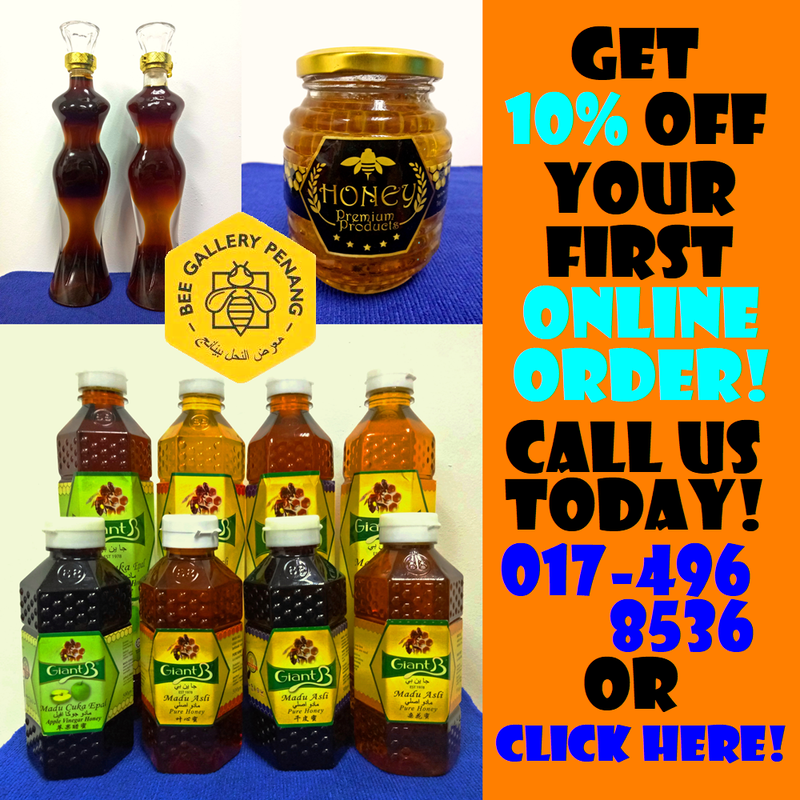 The shop is directly opposite of Shell gas station and Stadium Bandaraya Pulau Pinang (Penang City Stadium). There is a limited number of parking spaces in front of the restaurant and along nearby roads.